If setting your smartphone to easy mode, like on the Samsung Galaxy S3 under home screen modes, isn’t enough for you, you can install a launcher that will make your Android experience a lot simpler and less fussy, all the while being able to enjoy using a smartphone. Wiser is great for newbies, kids, and seniors. The average Android users might not know all the in’s and out’s of their smartphone or tablet. For those not-so-techy or smartphone-literate people who just want to be able to find everything they need on their device free of frustration, they could try an Android launcher developed by UIU LTD called Wiser - Simple Launcher. You can install Wiser for free from the Google Play Store. The launcher couldn’t be any simpler: the main home screen page is divided into the functions on your Android that you need the most: contacts, dialer, messaging, camera, gallery and applications. By swiping to the left, or pressing on the arrow, you can customize Favorite people and Applications pages that you use the most. Just tap on the ‘+’ icon to add and on the cogwheel in the top right corner to remove. Pressing the house icon at any time will bring you back to the main home screen. Pressing on Applications will bring you to all the apps on your Android device in a very clear overview. You can also find and install more apps by tapping on the ‘Add’ button in the top right corner which brings you to the Google Play Store. 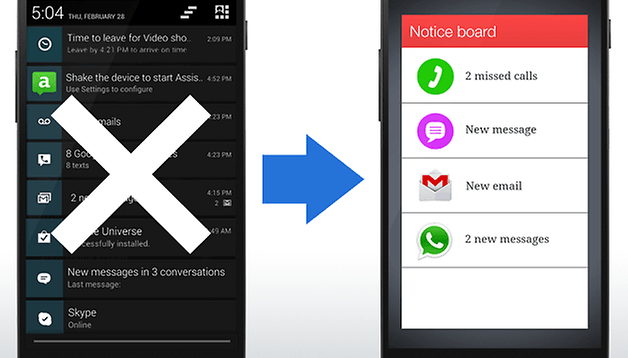 You will also receive your notifications in one clean ''Notice board'' so you never miss anything. What do you think of Wiser? A good app for newbies or is it missing something? Thanks Bogdan for the clarification!